CNS postdoctoral researcher Alper Sinan Akyurek developed an algorithm for controlling batteries that can decrease the utility cost of an actual building by up to 50 percent compared to a building powered without the use of batteries. Akyurek (Ph.D. ’17) – who completed his doctorate in January – still works in the Systems Energy Efficiency Laboratory of CSE Prof. Tajana Rosing (who has an adjunct appointment in Electrical and Computer Engineering, Akyurek’s previous department). Together they published their findings in a paper on “Optimal Distributed Nonlinear Battery Control” in the December 2016 issue of the IEEE Journal of Emerging and Selected Topics in Power Electronics*. As the researchers noted in their article, energy storage systems enable on-demand dispatch of energy to compensate for volatility in the generation and consumption — supply and demand — for power. “Our optimal distributed battery control handles multiple batteries with low computational complexity,” they noted. Compared to previous work, they used a higher-accuracy nonlinear battery model with only two percent error. “We show in a case study that optimal algorithms designed for a linear battery model induce an error of up to 60 percent in terms of cost reduction… [while] for the case of a constant load profile, we show that this error exceeds 150 percent,” said Akyurek. Comparing the latest algorithm to the state-of-the-art load-following battery management technique, the new algorithm produced a 30 percent improvement in utility cost. Furthermore, the algorithm obtains the solution for multiple batteries in a decentralized way with guaranteed convergence. Funding for the control research came from TerraSwarm, one of six centers of the Semiconductor Research Corporation’s STARnet program funded by the Defense Applied Research Projects Agency (DARPA), Microelectronics Advanced Research Corp. (MARCO) and DARPA-E (for Energy). SRC is backed by companies including Intel, IBM, Micron and Texas Instruments. Professor Rosing co-led TerraSwarm’s Smart Cities effort, on which Akyurek worked for three years until it ended in October 2015. Akyurek’s primary research related to CNS involves context-aware optimization in Internet of Things (IoT) systems. 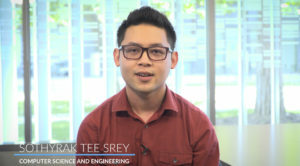 His research extends to optimized control in the Smart Grid for energy efficiency, and he has developed a range of control algorithms for purposes ranging from communication and prediction to controlling energy storage. Prior to his Ph.D. at UC San Diego, the postdoctoral researcher completed his B.Sc. (’08) and M.Sc. (’11) at Middle East Technical University in Ankara, Turkey, where he was a member of its Communication Networks Research Group. 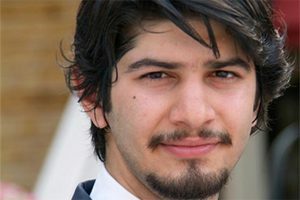 Akyurek also worked as a senior design engineer on wireless networks for the Turkish company, Aselsan, Inc., before enrolling at UC San Diego. *A.S. Akyurek and T. Simunic Rosing, “Optimal Distributed Nonlinear Battery Control”, IEEE Journal of Emerging and Selected Topics in Power Electronics, December 2016.